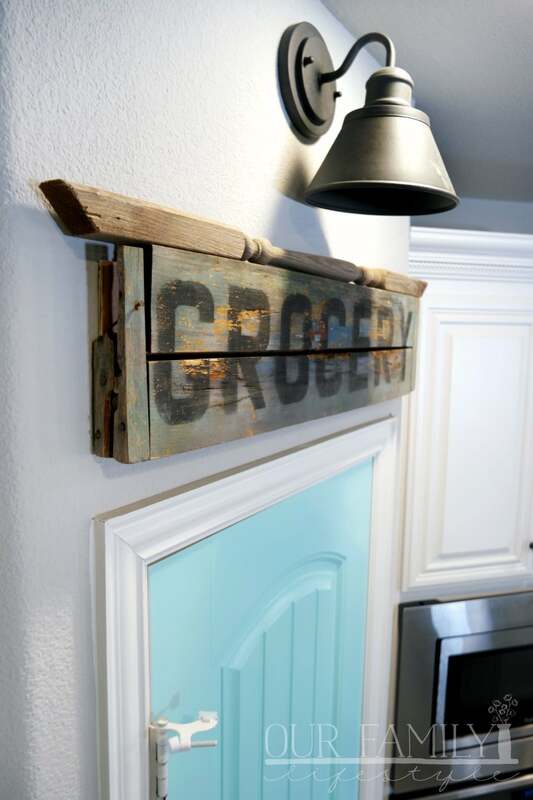 One of the most exciting parts of building your own home is designing it. Being able to actually pick out kitchen cabinet styles, wall colors, counter top stone, flooring, and more is—mostly—exhilarating. I would even dare to say it can be one of the most stressful parts. What if everything you pick looks awful once you see it all together? I’ve heard of this happening as well. In our case, I loved every design choice. I think we designed a beautiful house! But, that isn’t to say we didn’t already have DIY projects planned before we even moved in. Considering we weren’t buying a true custom home, there was only so much we could pick at the design center. That Farmhouse Kitchen I wanted? That was going to have to come later. 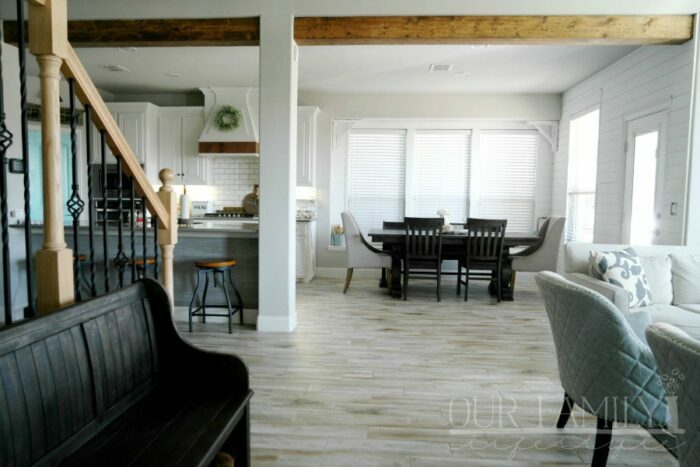 Those faux beams I’ve been dreaming about? Later. The farmhouse sink? Hopefully one day. Guess what? “Later” has come! 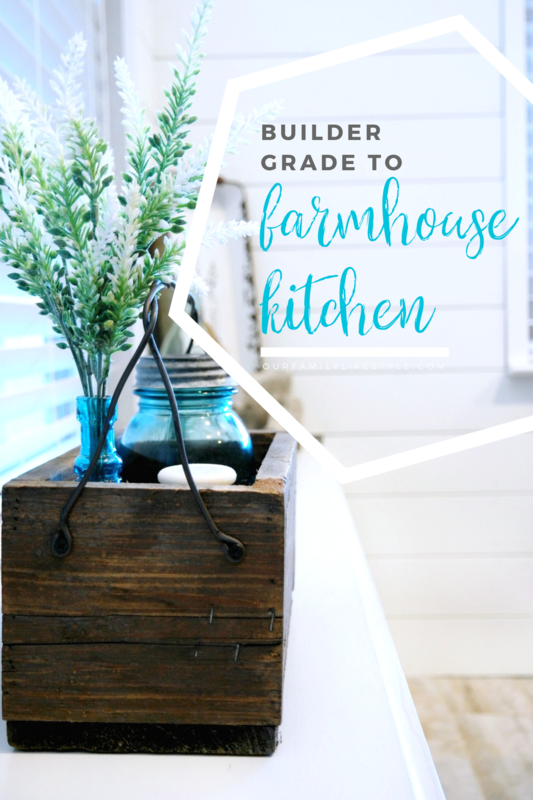 Through a partnership with The Home Depot, Colby and I have spent the last three weeks working diligently to transform our builder grade kitchen to the farmhouse style kitchen we’ve envisioned for months. We are absolutely in love with the way it turned out and can’t wait to show it off! Talk about a labor of love! 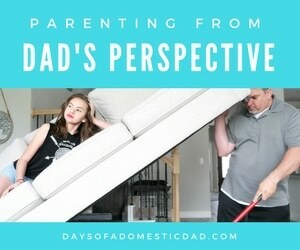 I was sick for two of the three weeks, so my poor (yet amazing) husband had to do a lot of the work alone. Fortunately, my dad was able to come by every now and then to help, whereas I could barely muster the energy to take photos. But, there were no complaints along the way. 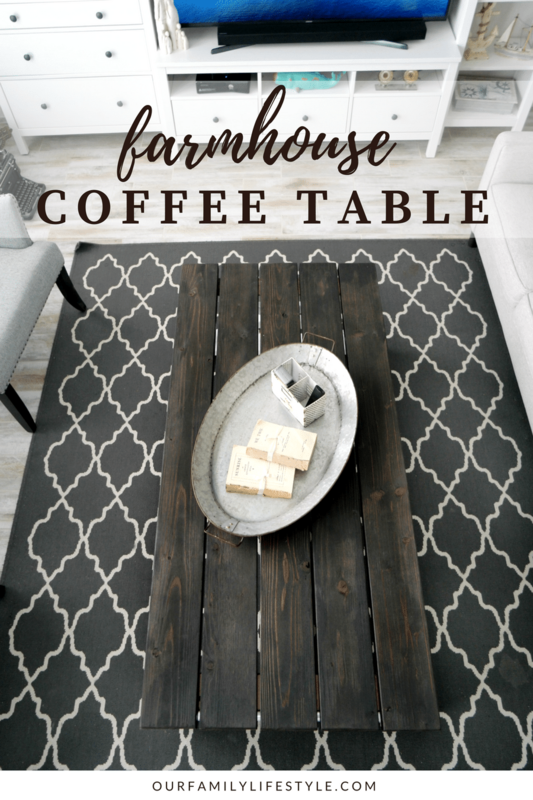 We worked as often as we could and had several trips back-and-forth to our local The Home Depot because we would see an opportunity to transform another area in the modern farmhouse kitchen. 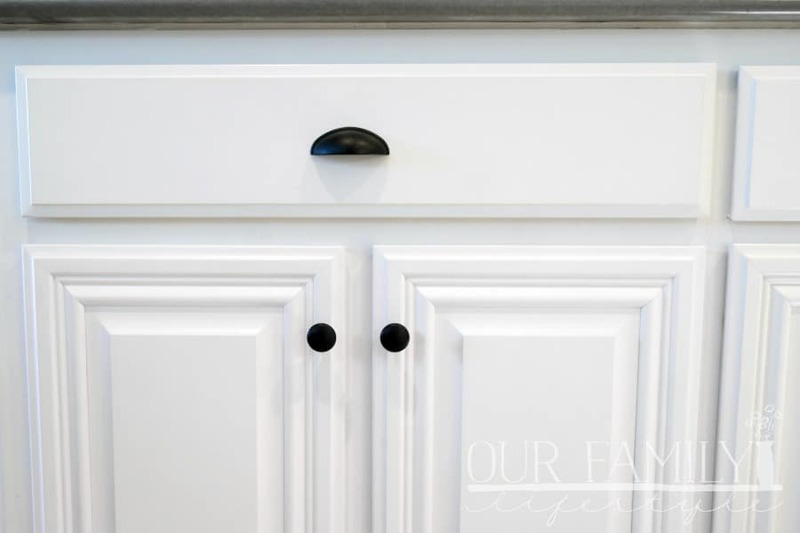 From shiplap walls in the dining room (our oldest daughter’s idea) to something as simple as cabinet knobs and drawer pulls, we transformed our eating and dining area into a warm, inviting farmhouse style space the whole family can enjoy. Take a look at the details of our white farmhouse kitchen and more photos on The Home Depot blog and let us know what you think!